Welcome to the luxury Conrad Istanbul Hotel awarded the title of *Turkey*s Leading Business Hotel* at the prestigious World Travel Awards. 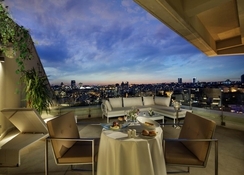 Enjoying a prime location in the center of Istanbul the Conrad Istanbul hotel is adjacent to Yildiz Palace and offers stunning views of the city including the banks of the Asian side and the Bosphorus Strait. 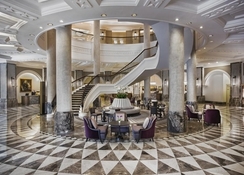 This luxury Istanbul hotel is one of the most conveniently located hotels in the European side of the city and is close to Dolmabahce the Grand Bazaar Hagia Sophia a number of fashionable shopping districts and malls and the bridge to the Asian side. 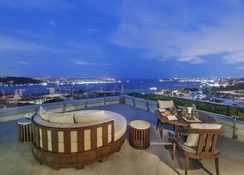 Fourteen floors house 590 contemporary and luxurious guestrooms including 71 Executive Rooms and 35 suites /one Presidential suite one Ambassador suite and one Royal suite/ all with magical views of the Bosphorus from Maiden*s Tower to Old Town. 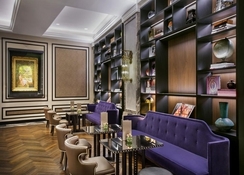 The luxury Conrad Istanbul hotel offers a state-of-the-art multi level conference center and includes two ballrooms 27 meeting rooms serviced offices a hospitality center large foyers coffee breakout areas and a 24-hour Business Center. The hotel is fully equipped with the latest in audiovisual technology and wireless internet access is available throughout the hotel. 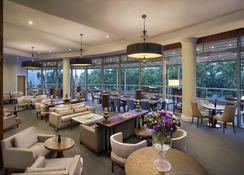 A variety of dining experiences are on offer at the Conrad Istanbul hotel. Choose from a selection of international dishes in Monet try a delicious cup of traditional Turkish coffee in the Lobby lounge sample exquisite Turkish specialities bursting with flavor in Meze or sip a cocktail in the 14th floor Summit Bar while enjoying magnificent views of the Istanbul skyline. Make the most of the hotel*s leisure facilities including Health Club with sauna steam bath and indoor and outdoor pools fully equipped gym and one open and two covered clay tennis courts. 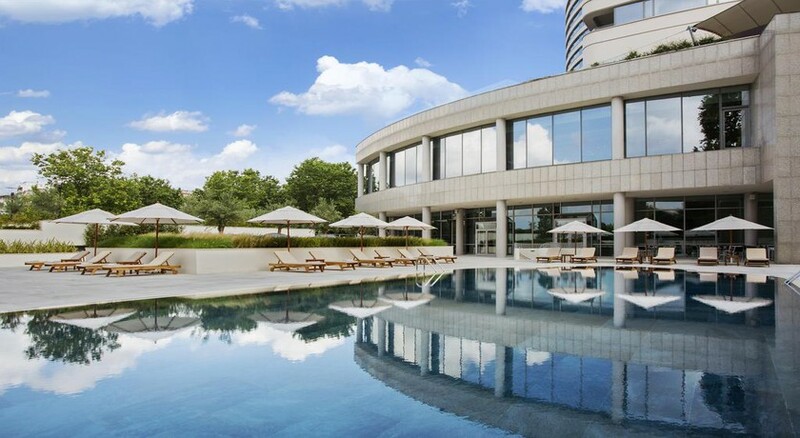 Visit the Conrad Istanbul luxury hotel and experience the ultimate luxury. The Luxury of Being Yourself.